On Saturday (12 January) we held our first HIIT+CHILL+CHAT mini-retreat event of the year in Richmond. An event focused on nourishing the mind, body and soul, through movement, mindfulness and nutrition. Movement, Mindfulness and Nutrition… for mind, body soul. 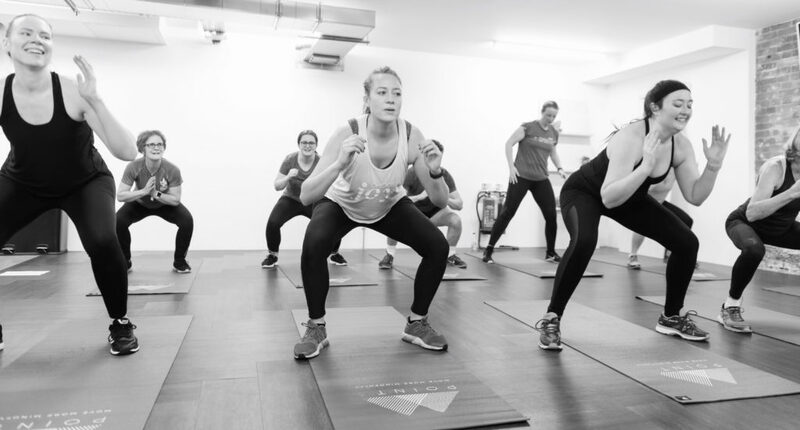 Our event began with a fun, interactive 45-minute HIIT workout aimed at raising the heart rate, while working all the major muscle groups, to build strength and burn fat. As with all of our workouts, we follow the cool down by bringing the heart rate down, and taking the mind on a wonderful 30-minute relaxing mindfulness experience. Our event finished with an incredibly insightful chat with Clarissa Lenherr, a registered and qualified nutritional therapist. Clarissa shared some wonderful tips about nutrition to support our mental, physical and emotional wellbeing. And our guests enjoyed nutritious snacks from our event sponsors*. Read our interview with Clarissa here. Our next mini-retreat takes place on the 2 March and we would love to welcome you along. The theme of this event is motivation, and we’re delighted to welcome along Megan Swanson, from Just Breathe Counselling as our guest speaker. If you’re interested in attending one of our next HIIT+CHILL+CHAT events click here for more information. And don’t forget our weekly (free-to-attend) Wellbeing Wednesday events. Each week over the winter months we rotate between HIIT+CHILL and STRETCH+CHILL – two workouts dedicated to mind and body fitness. This free-to-attend event is open to all with any donations going to Richmond Borough Mind charity. All you need to do is secure your space through Eventbrite here. PERK!ER is a young British company, creating delicious & super healthy Quinoa bars and NEW PERK!ER Bites. Every PERK!ER snack provides nutritious energy to keep you feeling perky, is packed with protein, high in fibre, under 150 calories per pack and 100% vegan. They are also free-from gluten, wheat and dairy; and have NO PALM OIL. Rhythm Health stays as close to mother nature as possible and have had incredible results with various customers with an array of gut related and immune issues. · Made using live grains unlike other kefirs which use freeze dried cultures. · 100% natural, NO added gums, water or thickners. · Raw pressed – this keep all the ingredients in their natural and nutritious state. · Billions of live and diverse bacteria to feed your gut.